Kat’s Ribbon of Hope Foundation is hosting its 2nd Annual Golf Outing and Benefit Dinner on October 2, 2014, at Nassau Country Club in Glen Cove, NY, to raise money for breast cancer research and patient navigation programs on Long Island. 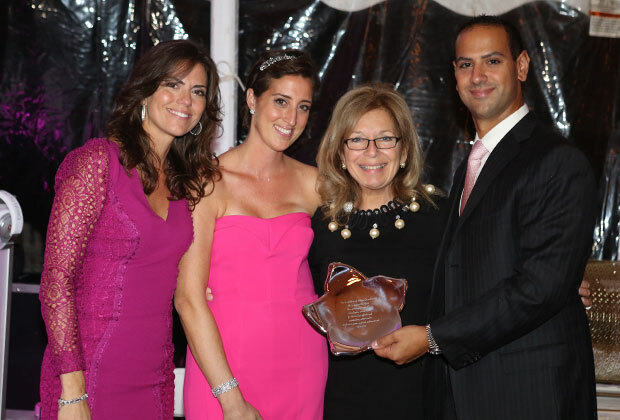 The foundation’s inaugural event was held in October 2013 and raised nearly $200,000 of which a portion of the proceeds went to MemorialSloane-KetteringCancerCenter and Patient Navigation at Adelphi Women’s Breast Cancer Hotline and SupportCenter on Long Island. The event was sponsored by Goldman Sachs, Kravet Fabrics, Mega Contracting, Garden Works, Urban Precast, Expressive Lighting, among others. This year, the day’s events will kick off with a Golf Outing at the Nassau Country Club followed by a Benefit Dinner and Silent Auction at the club. In addition, guest speaker Dr. Harold P. Freeman, who founded Patient Navigation in 1990 in Harlem, NY, will give a presentation on Patient Navigation at the benefit dinner. A portion of the monies raised will once again be donated to Memorial Sloane-Kettering for research and clinical trials in young women, as well as Adelphi Women’s Breast Cancer Hotline and SupportCenter. According to BreastCancer.org, about 1 in 8 women will develop invasive breast cancer in their lifetime; 85% of breast cancers occur in women who have no family history. While the number of deaths has been decreasing since 1989—thought to be the result of treatment advances, early detection through screening and increased awareness—the fight is not over. It is Kat’s Ribbon of Hope’s mission to help in this fight by providing financial support to charitable organizations conducting breast cancer research and to raise awareness for early detection. Kat’s Ribbon of Hope, Inc. was established in 2013 by Despina Yarian, Katerina Dinas Raptis and George Raptis to provide financial support to charitable organizations conducting breast cancer research and to raise awareness for early detection of breast cancer. It also provides financial assistance to indigent individuals who would otherwise not be able to afford early detection and treatment services. For more information about Kat’s Ribbon of Hope Foundation and the benefit dinner, their website is katsribbonofhope.com.